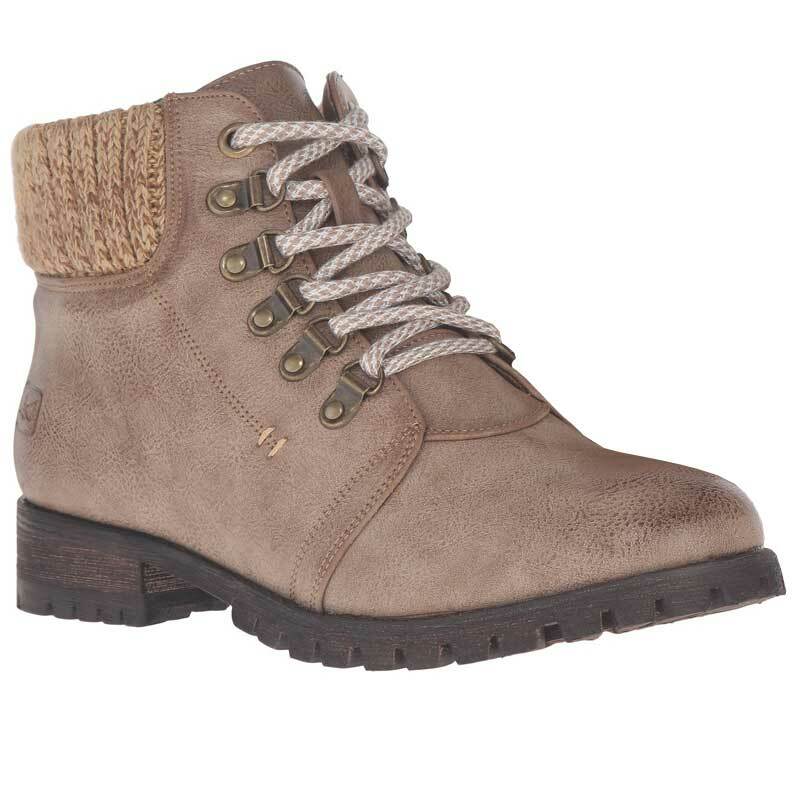 Nothing says fall like the hiker-inspired Treble Lace-Up from Dirty Laundry by Chinese Laundry. This women’s lace up has a man-made upper with a knit collar for comfort and style. The interior is lined with a soft textile lining that feels great against the foot and the padded footbed is stamped with the Dirty Laundry logo. The versatility of the Treble bootie will have you reaching for them all season. Chinese Laundry was launched in 1981 and has steadily expanded its influence in the fashion footwear industry. With groundbreaking styles season after season, Chinese Laundry lives at the forefront of fashion footwear for young women. Chinese Laundry is the perfect expression of its signature combination of outstanding quality and value with a unique and inspired point of view. From stylish daytime looks in innovative fabrics and leathers to evening collections in eye-catching metallics and satins, Chinese Laundry consistently provides a mix of styles and trends that are ideal for today’s fashion landscape.